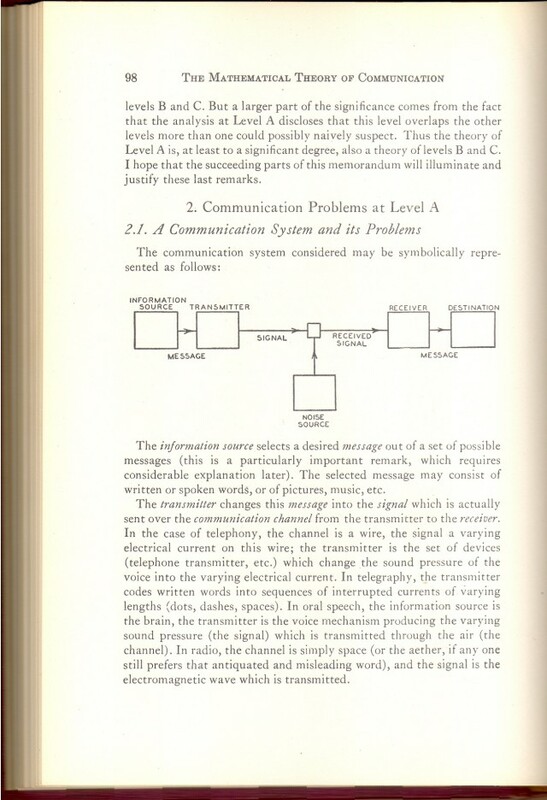 EarlyComputers: The The Mathematical Theory of Communication. This is a seminal work in the field of computers (and also human communication). 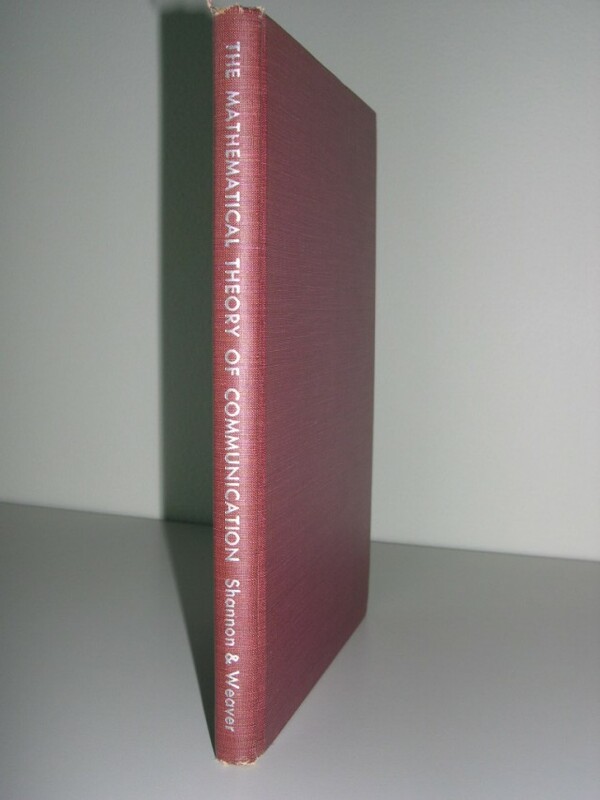 Dean Ridenour at the University of Illinois suggested that this book be printed in response to growing research in the field of communication theory. 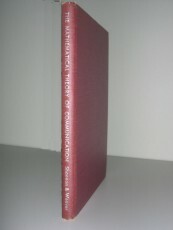 The book is actually a reprinting of two articles. 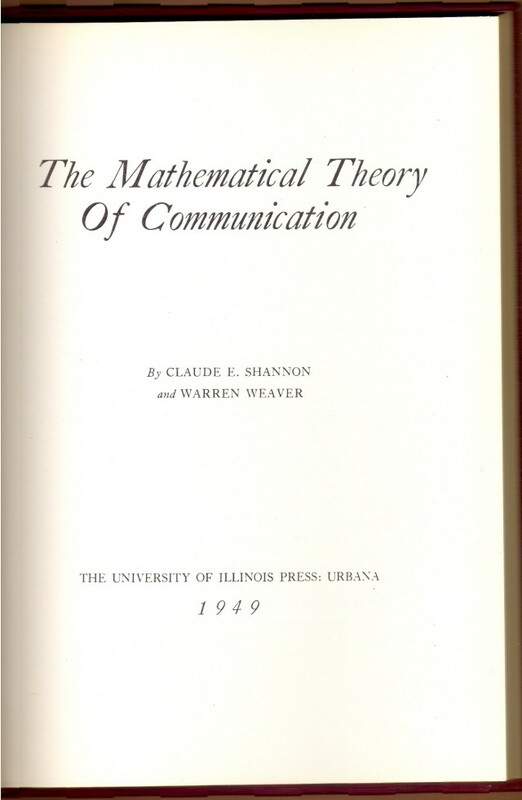 The first, and by far the longest, is by Claude Shannon and addresses issues such as "noise" and "feedback" from a mathematical point of view. The second article, by Warren Weaver, takes a more human communication point of view and deals with issues such as "meaning" and "semantics".